Microorganisms play a vital role in growing food and sustaining the planet, but they do it anonymously. Scientists haven't identified most soil microbes, but they are learning which are most common. These microbes create fertile soils, help plants grow, consume and release carbon dioxide, oxygen and other vital elements. But they do it all anonymously. Scientists haven't identified most of these species and don't know much else about them, either, such as "what they're doing in soil, how they're surviving, what they look like," Fierer says. According to Fierer, they've been extremely difficult to study, in part, because most of them refuse to grow anywhere but in the dirt, "so we can't take them out of soil and study them in the lab." Some scientists call the community of soil microbes a "black box." You can't see inside. Fierer and other scientists, however, have come up with new ways to open up that box just a little. They collect samples of soil and extract all the DNA contained in that sample, from all the organisms living there. That's a lot of diversity, even in a small sample. "Thousands of bacterial species can be found in a given teaspoon of soil," Fierer says. They study the DNA in each sample. They look, specifically, at a particular region of DNA that's common to all living organisms. And by making a catalog of all the different versions of that region, they can tell how many different kinds of microbes live in that sample. They also can tell how common each type of microbe is. There's a huge consortium of scientists, called the Earth Microbiome Project, using this approach to study soil microbes. Fierer, who's a member of that collaboration, discovered that even though there may be millions of soil microbes, there's a relatively small group that seems to dominate. The microbes show up in large numbers in soil samples from deserts, grassy prairies and forests. Fierer's report appears this week in the journal Science. Fierer made a list of 500 bacteria that often account for almost half of all soil bacteria. In the quest to understand the soil ecosystem, he says, it makes sense to start by focusing on these dominant species. He calls it a "most-wanted list," but it's also a list of question marks. "Most of the microorganisms that made our most-wanted list — they don't have a species name," he says. "They're un-described." Janet Jansson, a top scientist at the Pacific Northwest National Laboratory in Richland, Wash., is helping to lead the Earth Microbiome Project. She says scientists will be looking closely at these commonly found microbes. "They probably play an important role, because they are dominant and ubiquitous, so I think that's what the next step has to be: Characterizing what they do, and how they are impacted by change — climate change, for example," she says. Jansson also says it may be possible to piece together the entire genetic sequence of these microbes, so that even if you can't grow the microbes in a lab, scientists may be able to figure out what they're doing just from looking at their genes. 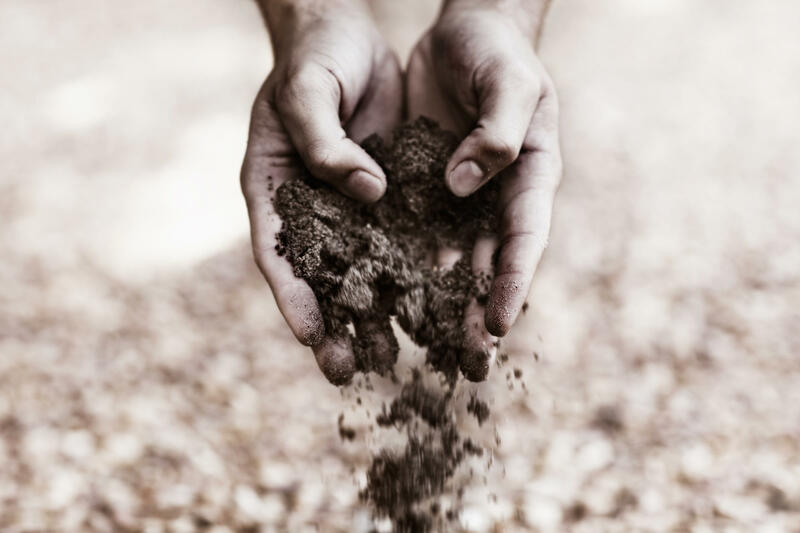 These soil microbes, whether they're common or rare, could also be the source of important new discoveries, she says, including biotechnologies like "new enzymes that remain to be discovered. Novel antibiotics that remain to be discovered." Every handful of dirt in your backyard probably contains billions of microscopic living things. The planet depends on these microbes. But scientists don't even have names for most of them. Today, researchers announced in the journal Science they have made progress in exploring this largely unknown world right underneath our feet. NPR's Dan Charles reports. DAN CHARLES, BYLINE: Noah Fierer at the University of Colorado, Boulder, wants to introduce us to all the microorganisms living in the ground. NOAH FIERER: They do a lot of important things, directly or indirectly, for us. And I hope they get the respect they deserve. CHARLES: Microbes create fertile soil, help plants grow, consume and release carbon dioxide, oxygen, other vital elements. But they do it all anonymously. Scientists don't know who they are or anything else about them, really. FIERER: What they're doing in soil, how they're surviving in soil, what they look like. CHARLES: They've been impossible to study partly because most of them refuse to grow anywhere but in the dirt. FIERER: So we can't take them out of soil and study them in the lab. CHARLES: This problem is so hard. Some scientists call the vast world of microbes a black box. You can't look inside. But Fierer and other scientists have come up with a way to open up the box just a little. They collect samples of soil and they just extract all the DNA from it, all the DNA from everything living in there. And there is a lot going on even in a small sample. FIERER: Thousands of bacterial species can be found in a given teaspoon of soil, for example. CHARLES: They study the DNA in each sample. And they're able to tell two things - how many different kinds of microbes live in that sample and how common each kind is. And Fierer discovered something interesting - out of all the different kinds of soil microbes out there, there's a relatively small group that seems to dominate. These microbes show up in large numbers in soil samples from deserts, grassy prairies, forests. Fierer made a list of 500 of the most common microbes. If we want to understand the whole soil ecosystem, he says, let's start by trying to understand these dominant species. It's a most wanted list, but it's also a list of question marks. FIERER: Most of these microorganisms that made our most wanted list, they don't have a species name. They are undescribed. CHARLES: Janet Jansson from the Pacific Northwest National Laboratory in Richland, Wash., is helping to lead a huge scientific collaboration called the Earth Microbiome Project. She says scientists will be looking closely at these commonly found microbes. JANET JANSSON: They probably play an important role because they are dominant and ubiquitous. And so I really think that's what the next step has to be, is characterizing, you know, what do they do? And how are they impacted by change - climate change, for example? CHARLES: It may be possible to piece together the entire genetic sequence of these microbes, she says. So even if you can't grow them in a lab, scientists may be able to figure out what they're doing just from looking at their genes. And any of these soil microbes, whether they're common or rare, could be the source of new biotechnologies, she says. JANSSON: You know, new enzymes that remain to be discovered, novel antibiotics that remain to be discovered. CHARLES: Treasures hidden in the ground. Dan Charles, NPR News. Transcript provided by NPR, Copyright NPR.